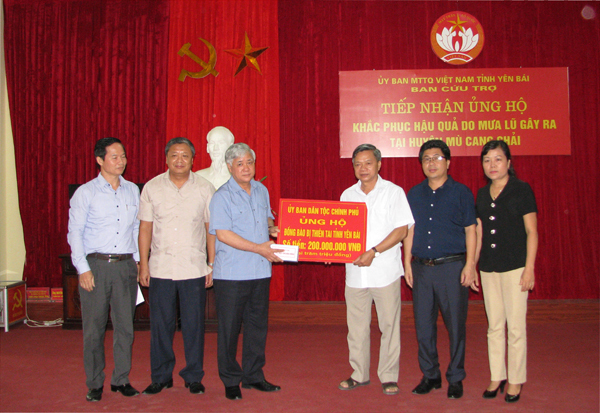 The opening ceremony was attended by Mr. Vo Van Thuong, Commissioner of the Politburo, Secretary of the CPV Central Committee, Head of the Central Commission for Propaganda and Training; Ha Ngoc Chien, Chairman of the National Assembly's National Council; Nguyen Ngoc Thien, Minister of Ministry of Culture, Sports and Tourism; Mr. Le Son Hai, Deputy Minister, Vice-President of the Committee for Ethnic Minority Affairs and leaders of the ministries, committees, central agencies, localities and community representatives of 8 ethnic groups in Muong (Hoa Binh), Thai (Nghe An), Khomu Ede (Dak Lak), Ta Oi (Thua Thien - Hue) and Khmer (Soc Trang). On the speech at the opening, Minister of Culture, Sports and Tourism Nguyen Ngoc Thien said: In the past few years, with the attention of the Government, the Prime Minister, the Ministry of Culture, Sports and Tourism has cooperated with the related ministries and agencies shall formulate and submit to the Prime Minister to promulgated important mechanisms and policies on ethnic minority and ethnic culture. 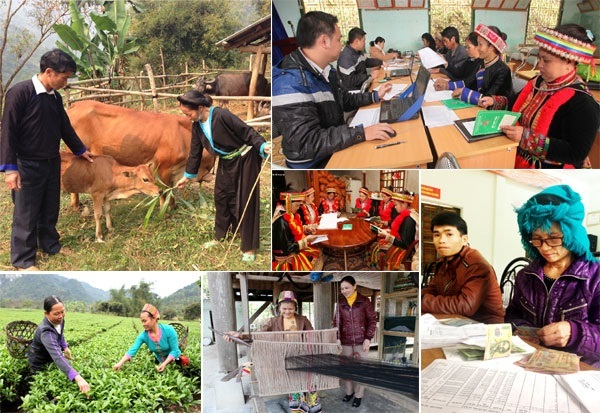 In 2016, the Ministry of Culture, Sports and Tourism has held conferences and seminars about solutions in collecting, preserving and developing the cultural, literary and artistic heritage of ethnic minority groups; opened 15 training courses for artisans and prestige people in remote areas; taught intangible cultural of ethnic groups with the populations of those less than 5 thousand people; Organized the review and evaluation of the effectiveness of 15 years of preservation and development of the traditional village ethnic minority values, etc. contributed to the transformation in the preservation and development of the cultural heritage values of the ethnic groups. 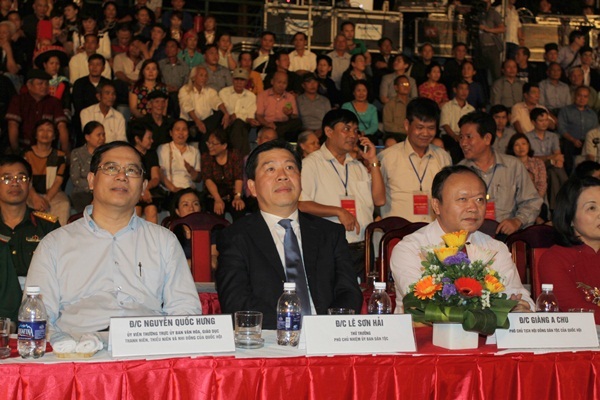 Minister Nguyen Ngoc Thien has emphasized: Though the preservation and development of the cultural heritage of ethnic groups has changed, the traditional culture of ethnic groups still facing many challenges. The traditional culture of some ethnic minorities was at risk of being disfigured, deformed; The relationship between conservation and development has not well resolved yet. Some good traditional culture of the people has not been properly preserved and developed, and the development of new values was still limited. Besides, many policies were implemented by the State through the projects were lack of funds for implementation, the socialization of cultural activities in mountainous areas, ethnic minorities are very difficult to effectuate. This situation requires more attention of all levels and sectors, with practical policies and measures that are appropriate to the Party's and State's undertakings and policies on ethnic affairs and the preservation and promotion. The values of the national cultural heritage are often and effectively implemented, contributing to consolidating the great national unity bloc. Right after the opening ceremony, a show named "Vietnamese Flowers" was performed by artists from 13 professional art units and performers. The six-part program introduces the unique cultural identity of 54 ethnic groups through dance, music and art performances. Through the program, the viewers can feel the cultural values, the community solidarity and the deep love of the homeland of the Vietnamese people. 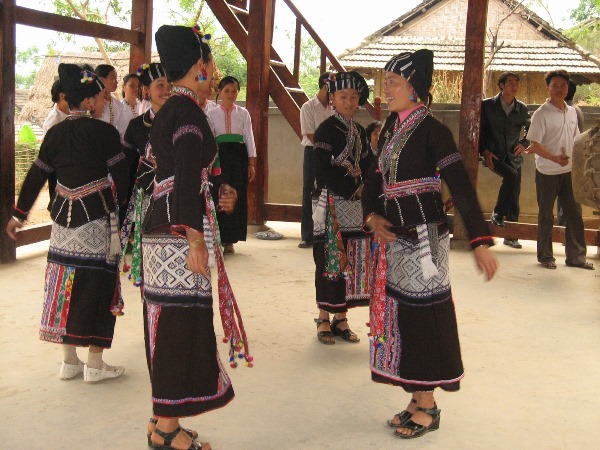 As part of a series of activities to celebrate the Vietnamese Ethnic Culture Day, which will take place from April 19 to 23, the "Common House" will take place in a variety of activities such as display, exhibitions and performs “Bamboo in the life of Vietnamese folk music“; Recreate the traditional festival "Ancestor worship of the Lo Lo ethnic group, Ha Giang province"; Perform national sports and yoga; Traditional music show and introduction of handicrafts from bamboo, etc. The activities contribute to creating a colorful, vibrant cultural space of the Vietnamese community in the "Common House" - Cultural Village - Tourism of ethnic groups in Vietnam.